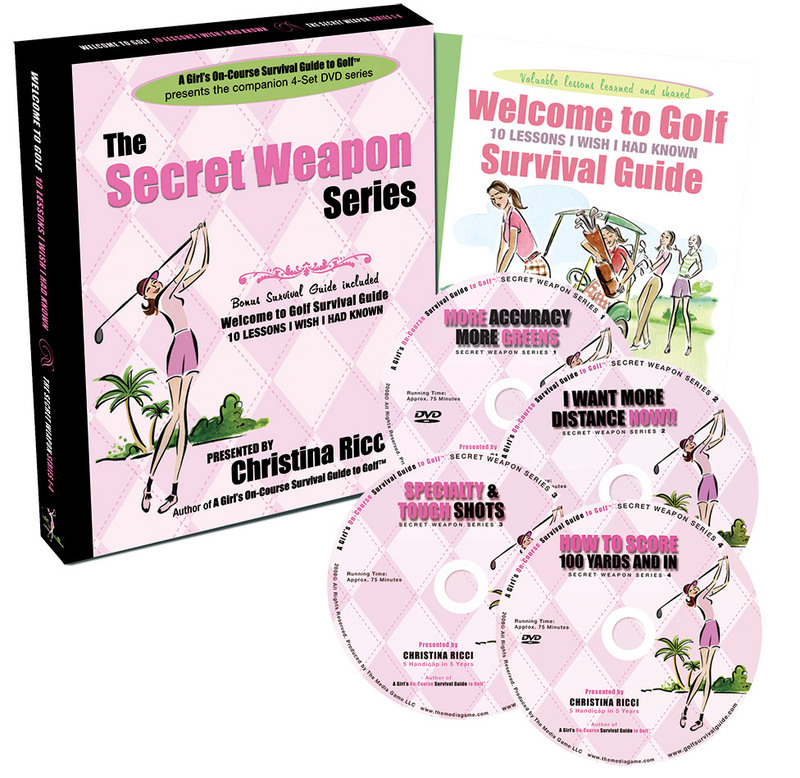 The Secret Weapon 4-DVD Gift Set is perfect for the newer golfer or player coming back after a long hiatus. It mirrors the best-selling Pink book + lots more lessons tee to green. This uniquely packaged gift set includes 4 DVDs jam-packed with solid golf fundamentals from tee to green and in-between. Plus, a Welcome to Golf personal story of Christina’s journey from a new golfer to a 5 handicap in 5 years, sharing 10 lessons she wish she had known from the start. Perfect for the newer golfer or player coming back after a long hiatus. It mirrors the best-selling Pink book + lots more lessons tee to green. A handy navigation booklet will help you navigate the lay of the land. 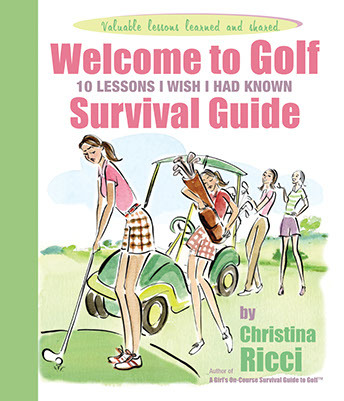 Welcome to Golf booklet featuring Christina’s personal experience learning the game. Priced right so you can get more pars on your scorecard. A small sampling of all the great tips you’ll learn to help you get more pars. 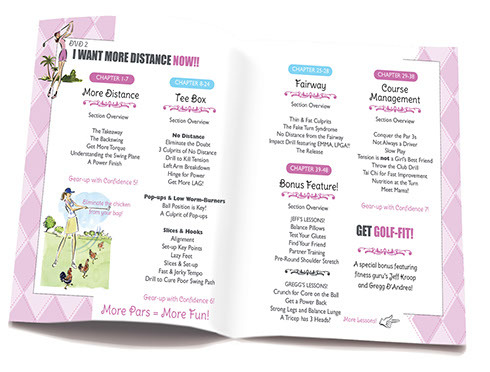 Plus, enjoy a Welcome to Golf and Navigation booklet included in the set to make this the perfect companion to your golf learning! With over 150 Lessons in the Secret Weapon DVD Gift set, this handy navigation booklet will help you navigate the lay of the land. Get the Secret Weapon 4-DVD Gift Set Now!